We do not trust God, but tempt him, when our expectations slacken our exertions. The anger of a meek man is like fire struck out of steel, hard to be got out, and when got out, soon gone. The meek enjoy almost a perpetual Sabbath. The fear of God reigning in the heart is the beauty of the soul. Men cannot expect to do ill and fare well, but to find that done to them which they did to others. The riches we impart are the only wealth we shall always retain. Extraordinary afflictions are not always the punishment of extraordinary sins, but sometimes the trial of extraordinary graces. Sanctified afflictions are spiritual promotions. Take Jesus for your king, and by baptism swear allegiance to him; take him for your prophet, and hear him; take him for your priest, to make atonement for you. It ought to be the business of every day to prepare for our final day. The beauty of holiness is that which the grave, that consumes all other beauty, cannot touch, or do any damage to. Holy joy will be oil to the wheels of our obedience. God’s promises are to be our pleas in prayer. I thank Thee first because I was never robbed before; second, because although they took my purse they did not take my life; third, although they took my all, it was not much; and fourth, because it was I who was robbed and not I who robbed. The Christian religion is the religion of sinners, of such as have sinned, and in whom sin in some measure still dwells. The Christian life is a life of continued repentance, humiliation for and mortification of sin, of continual faith in, thankfulness for, and love to the Redeemer, and hopeful joyful expectation of a day of glorious redemption, in which the believer shall be fully and finally acquitted, and sin abolished for ever. When God intends great mercy for his people, he first of all sets them praying. Nothing can make a man truly great but being truly good, and partaking of God’s holiness. As if men did not die fast enough, they are ingenious at finding out ways to destroy one another. When men drive God’s word from them he justly permits their delusions, and answers them according to the multitude of their idols. Absalom, who was a fool, wished himself a judge; Solomon, who was a wise man, trembles at the undertaking, and suspects his own fitness for it. The more knowing and considerate men are, the better they are acquainted with their own weakness, and the more jealous of themselves. You may as soon find a living man who does not breathe, as a living Christian who does not pray. 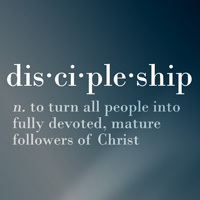 Christ’s disciples were no orators, till the Spirit made them such.